NASA’s OSIRIS-REx spacecraft, which is being launched on a mission to study asteroid 101955 Bennu, features three high-resolution cameras that are based on CCD detectors. These cameras will “see” asteroid Bennu as the spacecraft first approaches it. OCAMS will then provide global image mapping and sample site imaging and characterization. Finally, OCAMS will record the entire sampling event during the touch-and-go (TAG) maneuver. 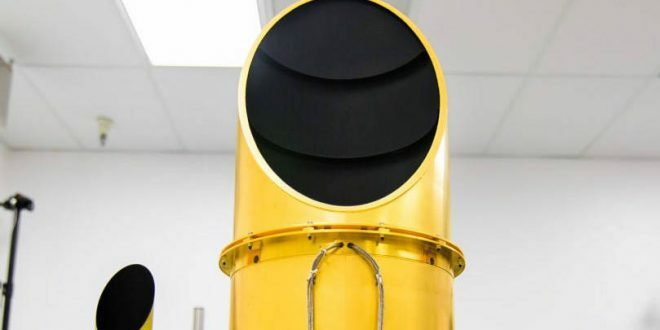 PolyCam, an 8-inch telescope, is the first to acquire the asteroid from two million kilometers away. Once the spacecraft is closer, it will image Bennu at high resolution. MapCam searches the area around Bennu for satellites and outgassing plumes. It maps the asteroid in four different colors, informs our model of asteroid shape, and provides high resolution imaging of the sample-site. SamCam will continuously document the sample acquisition event and TAG maneuver. The OCAMS team at the University of Arizona is led by Bashar Rizk (Instrument Scientist, UA), Christian d’Aubigny (Deputy Instrument Scientist, UA), and Chuck Fellows (Instrument Manager, UA).